Mint from my garden is growing like crazy. The other day I went to see this coming out from the bottom and sides of the box. There is a lot and it makes me really happy, I think it you noticed it right? 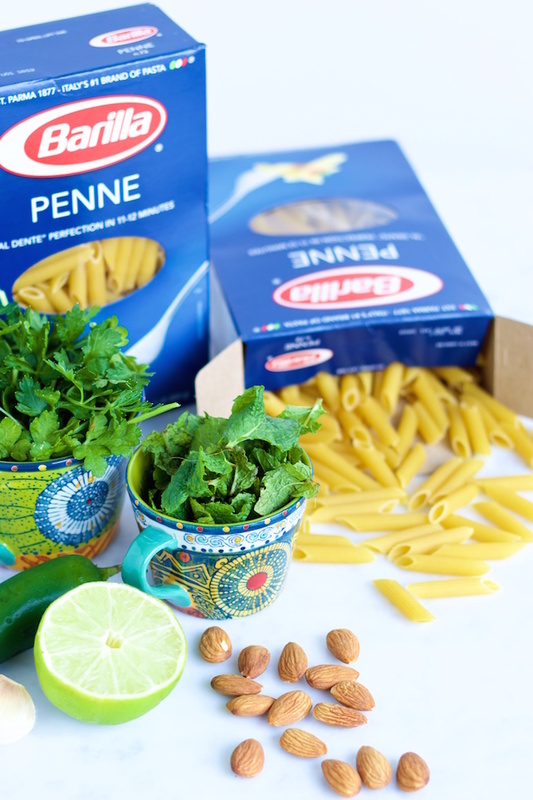 with pesto the day I stopped by Walmart and bought a box of Barilla® pasta for Mother´s Day. I was between buying spaghetti or penne, but there were lots of options. I bought two, penne y spaghetti. I love to use short past for pasta, for salad type pasta dishes, fresh dishes that you can take to a picnic or have them ready in the fridge even a day before you need them. In my mom´s house there is always a jar of home made pesto in the fridge, and it is delicious. Pesto is one of the dishes I do not ask for in a restaurant, I know for sure that is not gonna be as good as the one I grew up with. So I got used to having one in my fridge as well, I love that it is always ready to prepare in case you are in a hurry or a change of plans occur . 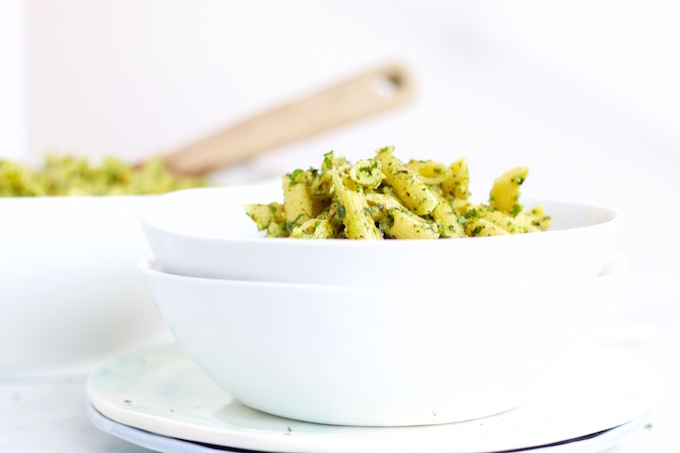 This is not the typical pesto, this is a pesto with a super latin twist, it has parsley, mint, lime, almonds, garlic and….. jalapeño. You could remove the seeds and veins from the jalapeño, you decide how much of a twist you want. Here is the recipe, if you like it please share it. 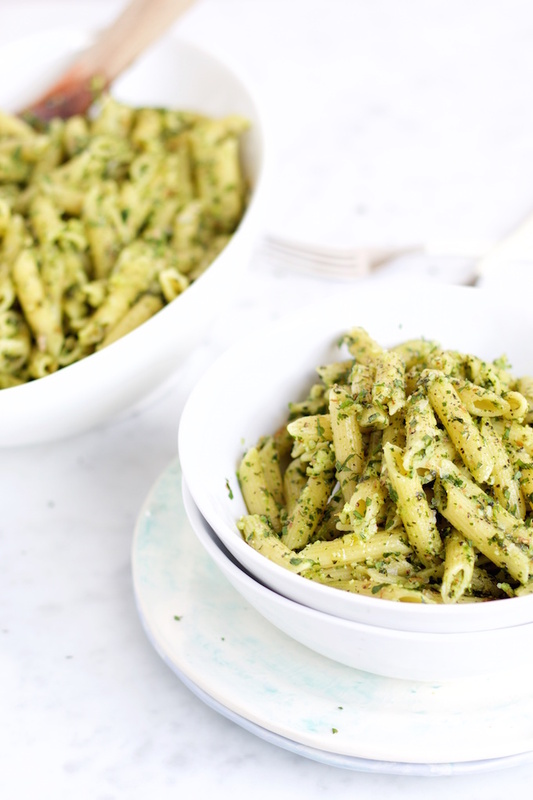 Pasta con pesto de menta y almendra. Es perfecto para tenerlo en el refrigerador por si algo se ofrece. Prepare pasta according to package directions . 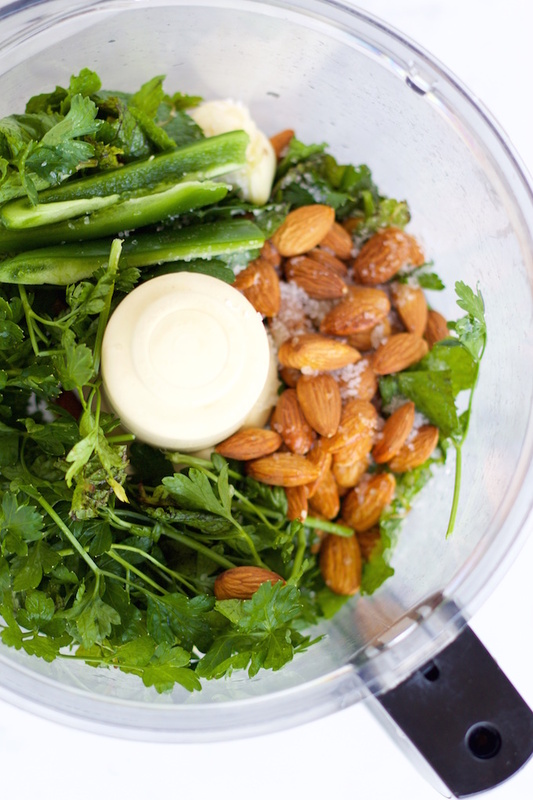 For the pesto , add mint , parsley , almonds , garlic , jalapeno and lime juice to cup food processor . Pulse repeatedly until it is all well integrated. Start the food processor and add the olive oil and salt. Let it run for a few seconds more . Drain the pasta and let cool slightly. 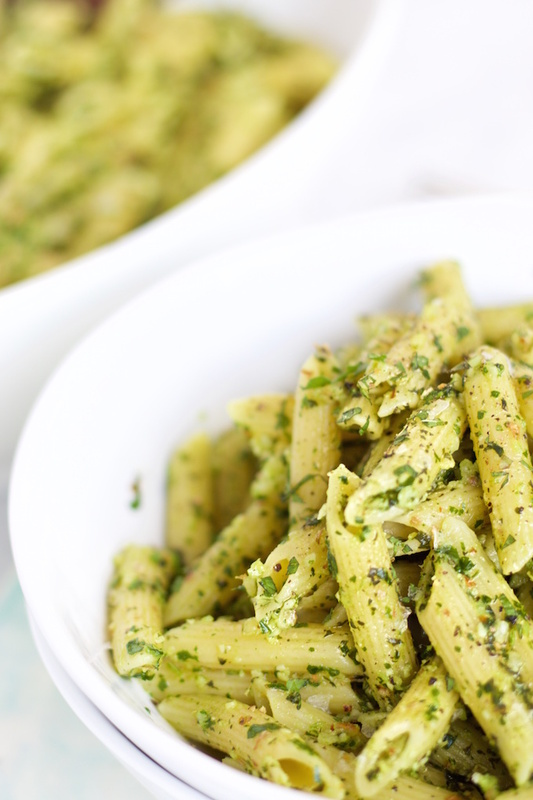 Add the pesto and mix well so that everything is well integrated. To serve you can add a little olive oil, salt and freshly ground black pepper .